Sales are on the up in Japan as the Holiday season approaches, and the latest Media Create chart results bring very happy reading for Nintendo in terms of both software and hardware. Starting with software, Monster Hunter X (Cross) continues its dominance at number one, with its lifetime retail sales in Japan now passing two million units. The top four are all on Nintendo hardware, with Splatoon and Super Mario Maker still going strong in 3rd and 4th place; both titles also have handsome hardware bundles available in Nintendo's homeland (as they do in the West, too). The top 20 is below, with lifetime sales in brackets. There's good news for Nintendo in terms of hardware sales, too. The 3DS family is well out in front with increases across all models, with the New 3DS LL (XL) leading the way once again. The biggest story is Wii U, however, continuing its impressive momentum to climb up to second overall and to now lead in the home console stakes with 47,890 sales. The results are below with last week's sales in brackets. Some excellent results there from a Nintendo perspective; it seems that the power of evergreen releases, and their related bundles, are giving the Wii U a welcome boost. Someone posted on the Splatoon forum that it's over a million sold in Japan so might be around 100k digital sales. Nice to see it hit 1 million! @Spoony_Tech Yeah, download take-up in Japan is often somewhere between 10-20% on retail games, depending on the game of course. So is Wii U closing in on 12 million world wide? I would think it is at least over 11 mill at this point and maybe comfortably so, it will be interesting to see what the numbers are the next shareholders meeting. Nice to see Splatoon hitting one million before the year is over. Rhythm Heaven has sneaked into the top 20 again. Still waiting on localization news, argh! Very impressive. Nice to see Wii U kicking PS4s a*s again. Very impressive numbers again, quite incredible that Splatoon has sold more than virtually all the AAA shooters combined in Japan, despite the fact that COD and Star Wars have been relatively popular over there for quite some time. Surely this places the worldwide sales of it close to 2 million? What an achievement that is. Nintendo reported Splatoon sales of 2.42 million on September 30. Sales should probably pass 3 million by now! WiiU definitely deserves more love, but I don't understand why Xeno X didn't sell much in that country... Totally unexpected. Anyway, it's absolutely crazy how much they love Monster Hunter and Yo-kai Watch over there. @Oubie Mario Tennis isn't out yet in Japan? Weird..
@Octane I think so, although wikipedia isn't the best source I can't recall seeing any commercial or something Japanese related to the game. So Splatoon is crossing a million lifetime sales there while Rainbow Six Siege gets a ho-hum first week. Man, why can't the rest of the world be more like Japan? When was the last time the Wii U sold as much as that in a week? Monster Hunter X should be around 2,5 millions with digital since it's on the same level as MH4 on the eshop and MH4 did 500K digitally. Paper Jam still couldn't sell well......guess we'll never see a Mario and Luigi game all thanks to Monster Hunter and Yokai Watch.....third parties. First parties can't live without them and can't live with them. Woah, Wii U actually beat PS4! That's unexpected. Decent sales for Rhythm Paradise! Pleeeeease localise!!!! Glad Splatoon still has legs, that bodes well for the future of that game returning on NX. @OorWullie A very good question. Week-by-week, the Wii U sold more than 20,000 units above previous year's weekly result (that had Smash as a fairly new title). 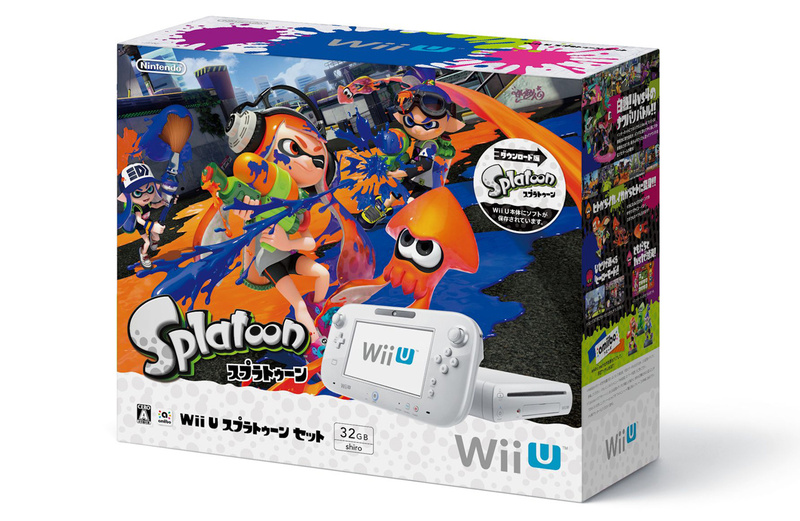 Clearly, the new (high-priced) Wii U bundle with Splatoon and SMM is of interest for the Japanese market for the holidays this year. Week 51+52+1 are the strongest weeks in Japan, so we should expect the figures to increase even more than this the next weeks. Week 52 2014 was 43,950 units in Japan. It's refreshing to see a territory appreciate the often under appreciated Wii U.
Hmm... this could make NX in 2016 a bit awkward in Japan maybe. Though... transitioning while the system isn't completely dead is really what you want to do when there is very little third party support. Also, a 3DS successor seems more important than a console replacement there for a couple of reasons. What a big difference a couple games at the right launch time makes. Compare that to North America. Ouch. It seems like 3rd parties in Japan would be interested in Wii U... but it needed this momentum much earlier in its life, sadly. Thanks to Splatoon, Smash Bros., Mario Maker, and maybe a couple others, the Wii U is going to end up a nice little gem in gaming history, I think. That's pretty good, but Xbox One more than DOUBLED last it's previous weeks sales! I jest, cruel I know. Delighted for Nintendo and in particular Splatoon and the Wii U! @aaronsullivan Yeah, I totally agree with everything you said. And yes, Oct and Nov were not good here haha, thankfully XCX made my Dec awesome. Wow. A week when Wii U outsells PS4 anywhere in the world is headline news, for rarity if nothing else. 4 3DS games in the Top 10 is impressive too. Even better, its two third-party games at the top. Let's go Splatoon! Ha, remember when just about everyone thought it would only sell 300k lifetime worldwide? @the_beaver The last Xenoblade was more popular in the west then Japan. This Xenoblade has even more of a western appeal. Also this one has outsold the last one in Japan. @the_beaver I was a bit surprised as well. However, I just remembered that inJapan, Xenoblade X came out in April, so its to be expected that it ain't in the top. @Gerbwmu "3DS may sell more total units then PS4 when they end their life cycle......it's going to be close"
I don't think so. PS4 is over 30 mil 2 years into it's probably 5 year lifespan. 3DS is at 50 mil 4 years in w/ NX on the horizon. PS4 is still at $300, and Uncharted 4, Final Fantasy 15, Shemue 3, Final Fantasy 7 and Kingdom Hearst 3 haven't shipped yet. 3DS may hit 70m, but PS4 will likely surpass the 80m PS3 sold. And PS3 is still selling, so PS4 may sell for years after PS5 comes out. So I suppose it could be close, but I think PS4 has a clear advantage. And if somehow miraculously VR takes off PS4 could do even more, but I doubt that myself. @aaronsullivan "this could make NX in 2016 a bit awkward in Japan maybe." Well PS4 came out in the West in Nov and in Japan the following Feb., so that precedent has already been set. Though I was thinking the same thing over lunch - Wii U finally has some sales momentum, maybe they will hold off on NX until 2017? Which I think is a mistake, b/c it's dieing in the west, but Nintendo and I never see eye to eye anyway. But of course we still don't know what it is, $400 Wii U 2 = Wii U + 3DS replacement, $250 Wii 3 (no Gamepad) = Wii U replacement, or $200 4DS = 3DS replacement. It needs to be out holiday 2016 in the west though or $250 PS4 and $200 Xbox One will destroy Wii U and any chance NX has of being successful. They struck gold with Splatoon about every online turf war I go on has 85 percent Japanese user names. I imported monster hunter x lots of gathering it will test your sanity. Got to take a break for splatfest though. I'm set for winter. @rjejr - You are prbably right with the 80 mill vs 70 mill. PS4 should have an amazing 2016....will probably have a good idea where lifetime sales will end up this time next year. @faint I hope not for SMT x fe but you seem to have this nailed down. What's Monster Strike anyways? @Spoony_Tech it's a really big deal over there. @faint Is it a collect them all like Pokemon, Yokai, and or PvsD? @Spoony_Tech it's a physics based multiplayer strategy rpg. Think angry birds, meets monster hunter meets fire emblem? Weird right? @faint I think I remember seeing something on this and thinking it looked good. Can't remember if it was that though. Sorry I haven't posted anything in a while but been looking at this site everyday. Great news with Nintendo. Wish it could be the the same for the rest of the world but, no, they just like realistic shooters, hack and slash and sports. The problem with this generation is the games are mainly remasters sequels and reboots - this applies to all three consoles. "Ooooooh look how realistic and gorgeous it is" is the theme for this gen. Overall there is no doubt it will get better in the future but at the moment it's been a little disappointing - not saying it's bad at as there are plenty of awesome games like Witcher 3 and Fallout 4, then again, it's the 8th gen and would like to see more new innovative titles like for example, Splatoon, Ori and the Black Forest and Tearaway unfolded (I know it's a remastered vita game, however, it's the only PS4 game that fully utilised the dual shock 4). I still think the PS2 is king of the Sony PlayStation franchise with that amazing library. I applaud Nintendo for bringing out as Splatoon as a innovative fun shooter - I haven't bought it yet because it's a little out of my price range. Same with Mario Maker. Might get them during stocktake sales. Japanese numbers are always nice to see. It's a welcome change from X1 v PS4 literally everywhere else. Sony and Nintendo, on the other hand, actually encourage one another from time to time. Which is important, because the Vita and PS4 selling well is the only thing driving Nintendo in Japan. It's no secret to those following gaming why Cloud is in Smash, why FF15 and XCX seem so similar and why the Vita jumped another 50-60% in sales. A hint: new game news, publicity and new hardware options may have had something to do with it. I'm waiting for the PSN 4 week sale to end (got some good games already) so I can get ready for Star Ocean 5, Ys 8, Uncharted 4 and Odin Sphere next year. All the while hoping for a new, cheaper bundle for the Wii U so I can get hype again for Zelda. Unless Far Cry Primal, Horizon Zero Dawn and No Man's Sky are all amazing, then maybe Skyward Ocarina of the Wind Mask will have to wait. PS2 was and will forever remain the console king. A vast and varied line-up, astronomical sales, a long and healthy shelf life and a very practical intro for most into DVD playback. Particularly for early adopters. As a Dreamcast fan though, the PS1 was the reason Sony had early successes that Gen. BC mattered then, because online wasn't a thing. Not really. PS3 was like PS2 lite and PS4 is just making enough new, PC like games, traditional console titles and overlooked or impossible to miss remasters / ports. It's funny though, hardly anyone asked for Wii emulaton and we got that. A bunch of people wanted PS3 BC and we didn't get that. Now PS2 and GC remastering is a thing and it's both baffling and a boon. In the last 'analog' age of gaming, memory cards, wired controllers and multiple disc odysseys were common and accepted. To see that translation occur, in near real time, in a purely digital manifestation, is surreal. Long winded jaunt aside, thanks @rjejr for reminding me about Shenmue 3. Definitely on my list going forward. As is my faint and quickly dying hope that Grandia 2 HD makes its way to consoles someday. I could battle enemies in that game for days on end..
@Gerbwmu If they announce NX for 2016 and it's backwards compatible w/ 3DS games 3DS sales will diminish quickly. I'm still hoping to be able to play 3DS games on my big screen tv someday. And the way Sony keeps bundling games PS4 could have a huge 2016 even w/ all those consoles already sold. Ratchet and Clank bundle is likely, maybe w/ some type of movie tie-in, a download or ticket fr theaters, Uncharted 4 bundle is almost a given. FFXV bundle is likely if Squenix ever decides to finish the game. I'm trying to hold out for that one. And NX and PS4 could be related, a cheap NX in 2016 may slow PS4 sales a fraction, an expensive NX in 2017 may speed PS4 sales up a bit. By E3 we'll know. As much as we liked that one - best looking graphics and battle system I had ever encountered at the time - my wife and I are still waiting for Skies of Arcadia HD. Or SoA 2 would be even better. Or Chrono 3. Cross and Trigger were both great, how was there not a 3rd? that's it stay strong it's time to yell "SUPPPERRRRRR!" @rjejr I have to stop scrolling through these threads. Dum de dum de dum oooh 'Skies of Arcadia HD'. You have planted a seed dag nabbit. YES PLEASE! !